The best part about our participation in this preparation for Divine Mercy Sunday (and year), is that the National Shrine of the Divine Mercy will be televising live this year on Divine Mercy Sunday via EWTN beginning at noon EST. During that time period, we will all have a chance to consecrate ourselves together! This book is being offered for any donation, even a dollar plus $5.25 to anyone in the continental United States. Sadly, this means the folks in Alaska and Hawaii must purchase the book either through Marian Helpers by clicking HERE or any other reputable book seller. To order your book, click HERE or call 1-800-462-7426 Product Code: B29F-33DML. Note: only one book per household. Keep in mind, March 1st is less than 2 weeks away. The Feb. 12, 2016 encounter in Cuba between Pope Francis and Patriarch Kirill of Moscow and all of Russia marks the first time in history that a pope and a patriarch of the Russian Orthodox Church meet face-to-face. Peter Humeniuk, Russia expert for international Catholic charity Aid (ACN) to the Church in Need talked Feb. 9, 2015 about the significance of the encounter, a major step forward in the dialogue between the two Churches, which ACN has been supporting for more than a quarter century. 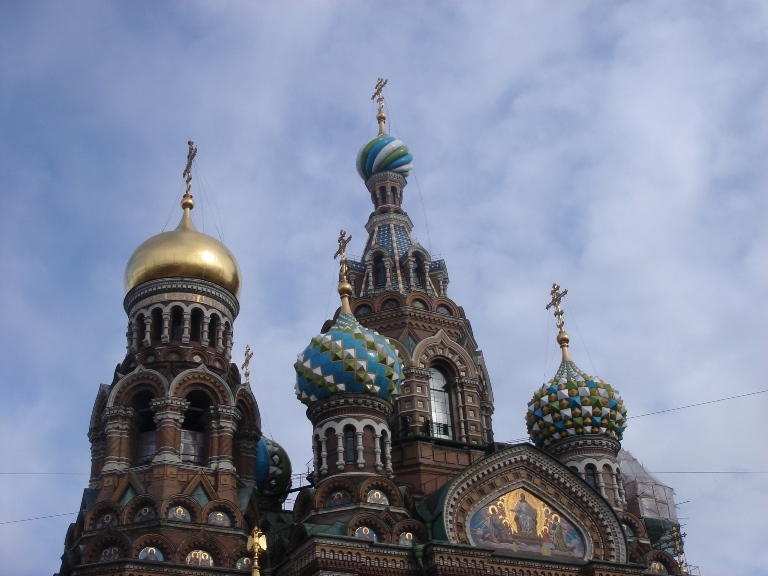 With more than 100 million members, the Russian Orthodox Church is the largest and most influential of the Orthodox Churches. Its voice carries great weight. Why is the meeting leaders happening right at this particular moment? Peter Humeniuk: It’s due to the dramatic international situation. We are witnessing the persecution of Christians to an extent that has never been seen before. When the world is on fire, issues pertaining to ecclesiastical politics play a subordinate role. Bearing witness together is more important than ever before! How was the news about the upcoming meeting received by the Russian public and the Orthodox Church at large? Reactions have been positive, as was the response of the major media outlets; you constantly see pictures of the pope. It sent a very good signal that the Holy See and the Patriarchate of Moscow announced the news simultaneously. The meeting is also seen positively within Orthodoxy. Patriarch Bartholomew, the Ecumenical Patriarch of Constantinople, received the news with great satisfaction. Everyone understands that this is effectively about a “to be or not to be” of Christianity in these countries. It is apparent that there is also consensus within the Orthodox world that the severity of the situation requires special measures and steps. What will change as a result of the meeting between the Pope and Patriarch? The meeting is a culmination of what has been achieved up until now, the fruit of a work that has been in progress for several decades. There have already been many occasions in the past when both Churches have spoken with one voice. One example I would like to mention occurred in September of 2013, when Pope Francis and Patriarch Kirill raised their voices in support of peace in Syria. At the time, Patriarch Kirill wrote to President Obama, Pope Francis and President Putin. It is to be expected that the cooperation between the two Churches will become deeper and more intense following the meeting. This meeting is of course an incentive and a confirmation to continue along this path dialogue. There is also a mutual search underway for new forms of cooperation, which should manifest themselves in new projects and joint campaigns. Important spheres of activity are opening up, in addition to standing up together against the persecution of Christians, there will, for example, be initiatives in support of the Christian family. There is much to do here and both churches have demonstrated a strong willingness to search for solutions together and to bear witness together. And in view of the international situation, the Churches can only make themselves heard by raising their voices together—and put forth a cry for peace. This salad makes good use of fruit instead of the usual tomatoes, cucumbers, radish additions. For 4 servings as a side salad. 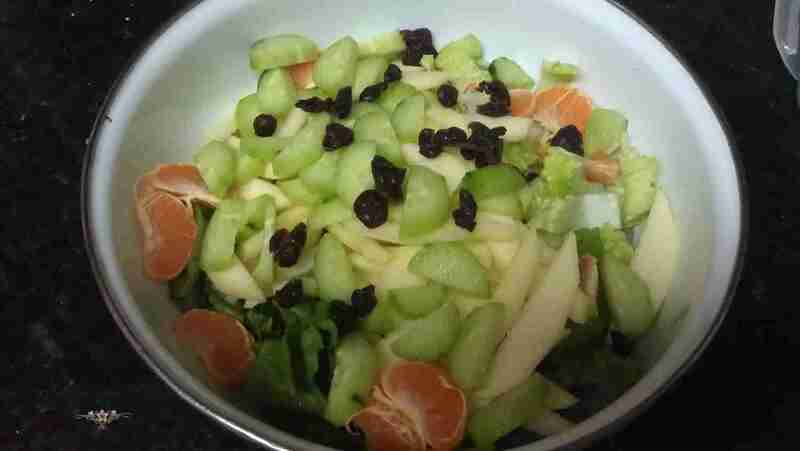 NOTE: You can add as much fruit as you would like. 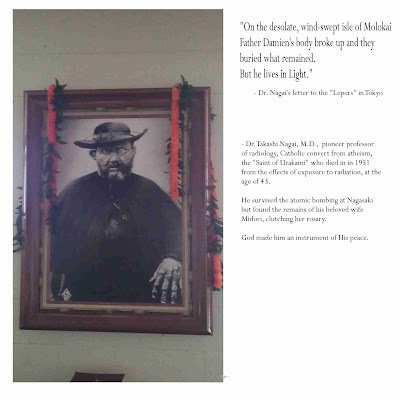 Father Damien Quote by the "Saint of Urakami"
The restoration of the adult catechumenate (RCIA) by the Second Vatican Council and the return of the Easter Vigil by Pope Pius XII a decade earlier led to the recovery of the baptismal character of Lent. In previous times Lent was about doing without treats, and concentrating on prayer, fasting, and almsgiving. The adjustments of postconciliar renewal have brought the observance of Lent into clearer focus by emphasizing that it is a season of catechumenate for all the baptized, when all review the meaning of putting on Christ by our baptismal consecration, not only those who will be baptized or brought into full communion with the Church at the Easter Vigil. The first days of Lent after Ash Wednesday and the following two weeks of Lent suggest a penitential spirit. The prayers and readings of the Masses and Liturgy of the Hours ask us to examine our faithfulness to our Christian commitment. Are we becoming more Christlike? The tone shifts in the Gospels of the next three Sundays of Lent to reflecting on the meaning of baptism and how well we are imitating Christ: Jesus and the woman at the well; Jesus curing the blind man; Jesus raising Lazarus from the dead. They ask how we are responding to Christ’s call to partner with him. These questions remind the already baptized to experience again a new catechumenate and preparation to join with Christ in his redemptive mission. In this third millennium Catholics are challenged to confront and correct a culture of secularism that rejects the biblical vision of the human person and human relationships. Not an easy task, but it can be a great adventure when we live in the confidence of the Easter Vigil and realize that love is stronger than death. The annual catechumenate of Lent prepares us to be missionary disciples of Christ who bring his redemptive grace to others because we have experienced it in our own lives through baptism. Baptism is about going down into death with Christ and being raised up with him in glory. Lent is about dying to self for the life of others, about knowing the deepest meanings of life are found in Jesus. Activating our baptismal grace makes this possible. For those of a certain age Lent raises memories of giving up something we enjoyed – candy, movies, and other things we liked especially. The old sense of Lent saw this time as one of self-imposed penance and spiritual discipline. The religious expression of the season took the form of the Stations of the Cross, daily Mass, and other devotional practices. The general feeling that prevailed is that Lent was to be endured. A sense of prayer, sacrifice, and charity toward others are authentic hallmarks of the Lenten season. We sense a genuine need to identify again with the suffering of Jesus. The new challenge is to see all these practices and prayers in the light of the Church’s annual retreat in preparation for the Easter Triduum. During those three days new Christians will be born from the font of Baptism, and all Christians will welcome them with a with an enthusiasm rekindled anew through reliving our own rebirth in Christ. Above all Lent is about the Sacraments of Initiation. Baptism is about going down into death with Christ and being raised up with him to glory. This death and rising can be celebrated only after it has been experienced and lived in the daily fabric of human life. Lent is about dying to self for the life of others. Lent is about dying to all human supports which blind us from seeing that true life is in God alone. 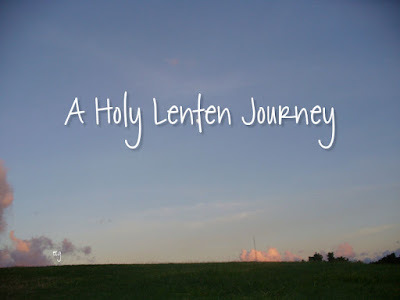 Lent is as serious as coming to know that the deepest meanings of human life are seen in Jesus, who fights every temptation to take the world by power, force, or the razzle-dazzle of miracles. When Lent begins on Ash Wednesday we are signed with ashes in the form of a cross because we live under and in that sign. The sense of Lent as preparation for Christian initiation and its renewal is clearly proclaimed in the Sunday readings. Our practices of prayer and charity lead us to the renewal of our baptismal promises in solidarity with the catechumens who will unite themselves with the Church through Baptism. This is our special time of opportunity to enter more deeply the mystery of our faith, the Paschal Mystery. Holy Thursday is the last day of Lent. With the celebration of the evening Mass of the Lord’s Supper, Lent ends and the Christian community enters into the annual celebration of the Passover of the Lord and unbounded joy. Lent launches the neophyte on the journey to our eternal destiny and re-commissions the initiated. Lent commissions us and energizes us. to the font of rebirth. our prayer, a chant of humble and grateful hearts. All that we do and pray is in the name of Jesus. To see Lent only as a period of spiritual practices, penances, and self-imposed deprivations would be distorted and limited. Some understand Lent solely as a time of painful spiritual exercises accepted more or less willingly. But with reflection and by following attentively the Lenten celebrations brought to us by the Church and its liturgy, we come to recognize that Lent is a paradigm of Christian life. We come to recognize the wisdom of St. Benedict’s admonition that the lives of Christians and of the Church “ought to be a continuous Lent.” Lent is a reminder of our baptismal consecration to live as other Christs in our circumstances. ACN News- Called to Forgive - "If we hate ISIS, then they have won"
The Arab Spring has primarily resulted in chaos and the disintegration of nations, especially in Syria. Is there any reason for the hard-pressed Christians in the region to be optimistic in 2016? Father Pizzaballa: It is difficult to say whether there are reasons for hope. However, from a political and military standpoint, this year will doubtlessly be a decisive year, a turning point. In Syria, I detect a certain war-weariness among the parties concerned. They will not be able to continue at this intensity for much longer. But many Christians have already left Syria. Trust is broken between Christians and their (former) Muslim neighbors. Not all Muslims agree with their ideology of ISIS and other radical jihadist groups or support them, of course. After all, ISIS, for one, also suppress Muslims in the areas under their control, and thus numerically speaking one could even say they primarily suppress Muslims. But they still enjoy great popularity. It would be impossible for these groups to control such large parts of Syria and Iraq and for such a long time without support from the general population. Is it necessary to separate the groups along religious and ethnic borders? This should not be done under any circumstances. In order to make a future possible for Christians in their countries, you have to push through the concept of citizenship and civil equality. This is where the religious leaders have a part to play. Because Islamic fundamentalism didn’t just come out of nowhere. However, most of the Islamic clerics say that ISIS, for example, has nothing to do with Islam. It is surely a deviation, but there are links to the established theology. After World War II, we Catholics also had to ask ourselves how modern anti-Semitism that led to the Shoah was born and if we had a role in this. Muslim theologians now have to ask themselves similar questions. A theological examination of conscience is necessary. They have to ask themselves: What in our doctrine led to modern fundamentalism? Christians must set an example of forgiveness. The Year of Mercy can help make this clear to us. If we hate ISIS, then they have won. It is of course extremely difficult to grant forgiveness and this cannot be done automatically; it requires time. And as an Italian who is living in safety, I am the last person who can tell a Christian in Aleppo how this is to be accomplished. But the Christians in Syria and Iraq have to ask themselves this question. The Gospels require this of us. If we fail to do so, our faith will remain theoretical. Europe has long ceased being simply an observer of the upheaval in the Middle East. It is directly affected by the flow of refugees from the region. Many Christians are also making their way to Europe. Does this trouble you? Under no circumstances would I encourage the Christians to emigrate. We are doing everything in our power to make it possible for the Christians to stay. I would tell them: Go to a safe part of the country, but stay in Syria. Fleeing is not a solution. Because the Christians belong here. They have a calling here. And Europe is not a paradise. I would tell the politicians in Europe: It would be better to help the refugees, including the Christians, here than in Europe. It would be better to invest the money required to admit millions of refugees in Europe here. It would be better for both the refugees and the region. In two separate appeals, the heads of both the Chaldean and Melkite Churches have called on Christians worldwide to observe a fast on Ash Wednesday and to begin their Lenten journey mindful of the plight of persecuted fellow believers in the Middle East. “The war in Iraq and Syria is taking on apocalyptic dimensions. Without a doubt, we are already facing the largest humanitarian catastrophe since the end of World War II. The Ash Wednesday messages from the Patriarchs were obtained by international Catholic charity Aid to the Church in Need. This is the Peruvian version of a Spanish dish. My mother makes two versions of it, one with garbanzos and one with fried cubes of potatoes. We used to eat it either on Ash Wednesday or Good Friday. Since it is Lent, I will give you the recipe for the one using garbanzo or chickpeas. 1 lb. of salted codfish, that has been soaking in fresh cold water the day before. Make sure to change the water at least three times during that period and keep in the refrigerator. Then remove the bones and any skin that the fish may have. Cut into chunks or strips. 1 lb. bag of dried garbanzo beans, soaked overnight and cooked. 1 15 ounce can of tomato sauce. Fresh minced parsley can be added at the end of cooking. Heat a Dutch oven and add the oil. Then add the onions and garlic and fry until the onion is cooked. Add the tomato sauce and bring to a simmering boil. Add the fish and the garbanzos. Cook on low heat for approximately a half an hour and then add the drained pimentos. Salt and pepper to taste. Be careful not to over salt the stew. Serve with cooked white rice and a salad. Here are some suggestions that may help you grow spiritually this Lent. Of course, the best suggestion I can give you is to try to attend Holy Mass daily and pray the Holy Rosary daily and/or with your family. 1. Drink only water during the week and Saturday. Save your juices, carbonated beverages, etc. for Sunday. 2. Meditate on Jesus' words: "I thirst" and refrain from drinking even water for at least five minutes or so, especially when you are very thirsty. 3. Eat only meat on Sundays. During the week, practice abstinence from meat. 4. Unite yourself with the starving people around the world by eating what you have in your refrigerator or cupboards/pantries. Necessity is the mother of invention they say. I can almost promise you that you will come up with good and tasty recipes with the grains, beans, canned fish, vegetables you already have on hand, when you know you cannot go shopping for what you want. 5. Shop only when necessary. That goes for food, clothes, cleaning supplies, and so forth. 6. Take advantage of sales and buy food to share with your church's outreach or homeless shelters. If you want to stick with shopping only when necessary, then go through your own pantry and share your food with others in need. 7. If you are not in the habit of eating meals with your family at the table, at least try to eat dinner together, at the table. 8. Catholics celebrate Mardi Gras for a reason. 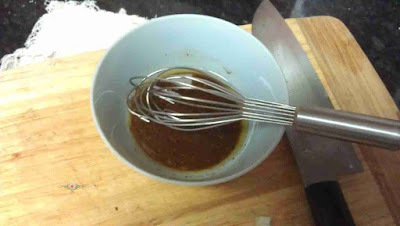 It used to be customary to cook with the oils, butters, sugars on Fat Tuesday and abstain from using them during Lent. Try to abstain for fats, sugars, and too much salt, during the week during Lent. 9. Make a holy hour of Adoration at least once a week during Lent. 10. Refrain from watching mindless television shows such as sitcoms, suggestive movies, etc. during Lent. Watch spiritual movies, family classics and Catholic programming instead. 11. Instead of just giving up one thing during Lent, try to sacrifice different treats such as snacks, movies, plays, dinners, lunches and drinks, and give the money you save to Aid to the Church in Need. 12. Prepare a little reading nook in either your bedroom or somewhere quiet. You will need a comfortable chair, a little table and if possible and ottoman. Place some good Catholic books you want to read on the little table, along with a journal and a nice pen. Place a fragrant candle on the little table too. 13. Spend at least 1/2 hour a day doing spiritual reading. See list of recommended reading below. 14. If you are on any social networking sites, start sharing about God's mercy. You can quote from various the saints, St. Faustina's diary, Pope Francis, and the Holy Bible. There are endless sources for God's mercy. 15. Make more acts of charity, either spiritual or corporal, at least once a day. 16. Send a note or email to someone you hurt and apologize. If you cannot do that, say a prayer or request a Mass for that person. 17. Go through your home and try to see what is essential and what is not. In the book A Song for Nagasaki, the author writes about Dr. Takashi Nagai's love of huts. According to the writings of Buddhism, the Yuima Sutra, "You best meet the Supernatural, if you make your heart like a hut, that is empty of everything but the bare essentials." Dr. Nagai, a convert to Catholicism must have related it to God, He is our supernatural. I just thought it was a very beautiful thing, to clear out anything that keeps us from God and only keep the bare essentials. So, why not start with our own homes. 18. Practice devotion of the Stations of the Cross each day at Church. If this is not possible, at least try to make it on Fridays when most parishes hold them for the faithful. 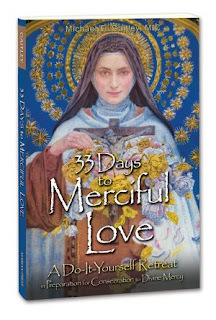 Two I would recommend are The Way of the Cross with excerpts from St. Faustina's Diary as well as St. Alphonsus Liguori's traditional Way of the Cross. I believe you can order a little booklet containing both from the National Shrine of the Divine Mercy. You can also call them at 1-800-462-7426. 19. Keep a spiritual journal. The format I use is as follows: +JMJ+ on top as well as the Feast of the Day or the Saint of the Day. Then Ex of C: Examination of Conscience: I write down all my sins and failings of the previous day. Then I ask our Blessed Mother in writing, to help me overcome these faults. I thank her and I tell her how much I love her. I also take notes when I read and jot down excerpts, quotes or prayers that help me spiritually. 20. Try to do everything required of your daily duty with love, patience and even if it is something mundane like washing dishes, wash those dishes the best you can. Do it for God. 21. Give up breakfast or lunch, or both on Fridays during Lent. Better yet, also during the week. He Leadeth Me by Father Walter Ciszek, S.J. Also, the Holy Bible, available free with the EWTN app for your ipad and the Diary of Sister Faustina. 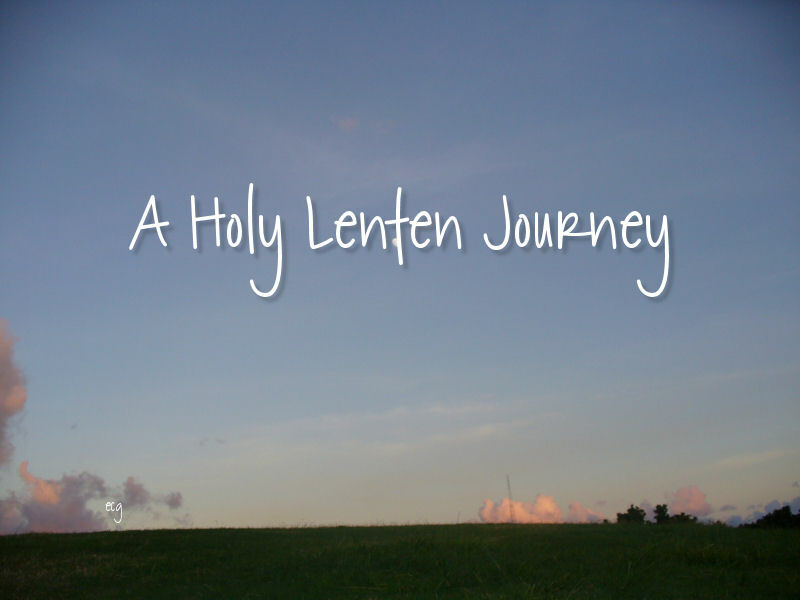 May you and your loved ones have a very blessed Lenten journey.